Ami and Zach had a relaxed weekday elopement at the courthouse in Towson. They started their day with homemade breakfast (I think it involved something baked with blueberries- yum!) and light chores around the house. There's something exceedingly romantic about acting out your everyday routine and then hopping in the car to get married. 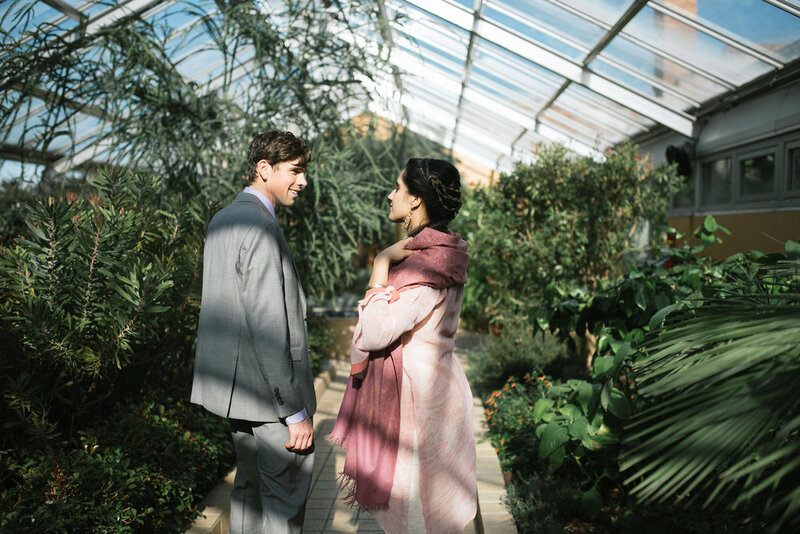 After they tied the knot, I met them at Rawlings Conservatory for an hour's worth of portraits. 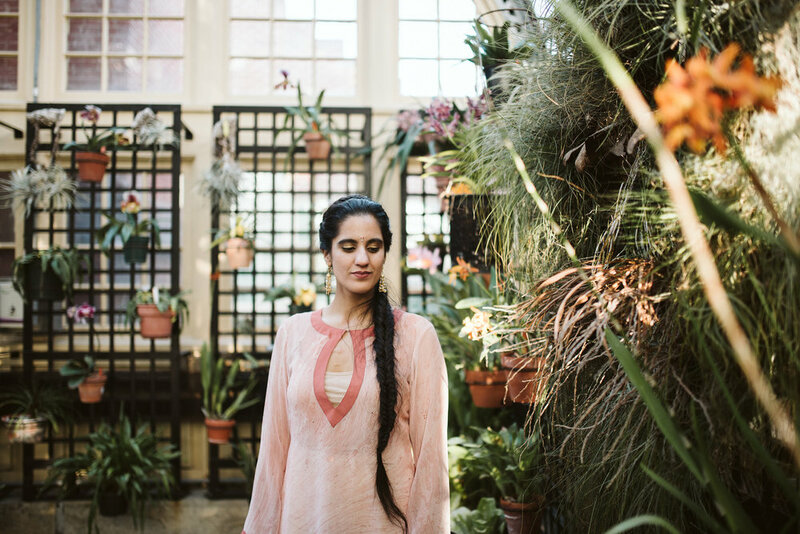 When Ami had first approached me, she emphasized how much she loved my candid style. We started our session true to form by climbing a giant tree. When they were perched on top, they recollected how their first date was spent climbing trees at Druid Hill Park. I loved that serendipity! The greenhouses at Rawlings are something special. 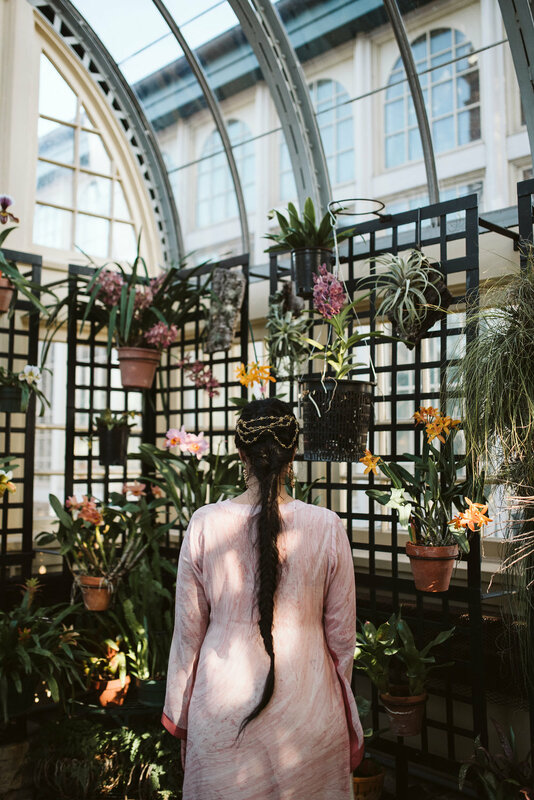 There are four main rooms and we took our time wandering through each and checking out the various flowers and foliage. It's a perfect venue, rain or shine. There's a Mediterranean room, a tropical room with a koi pond, a cactus garden, and the palm room with giant trees reaching the ceiling. 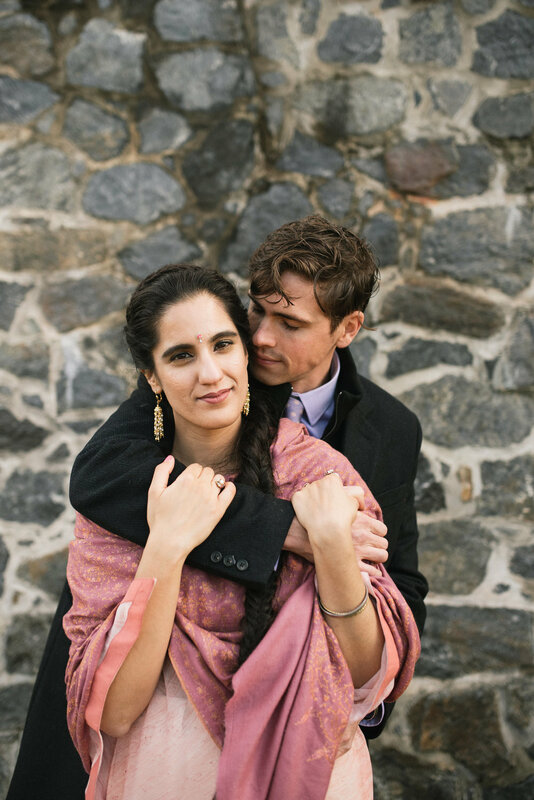 Ami and Zach were dressed to the nines and their colors fit right into the environment- him in a grey suit, and her in a pink Indian sari and her mother's scarf. We found all sorts of stunning photo backdrops and they looked like they belonged in each one. Like part of the landscape.